Measuring correctly is one of the most important first steps of any home improvement project. One or two mistakes in measuring can send you right back to square one after a considerable amount of labor. Avoid this setback by measuring at least twice before you move on to the next step. 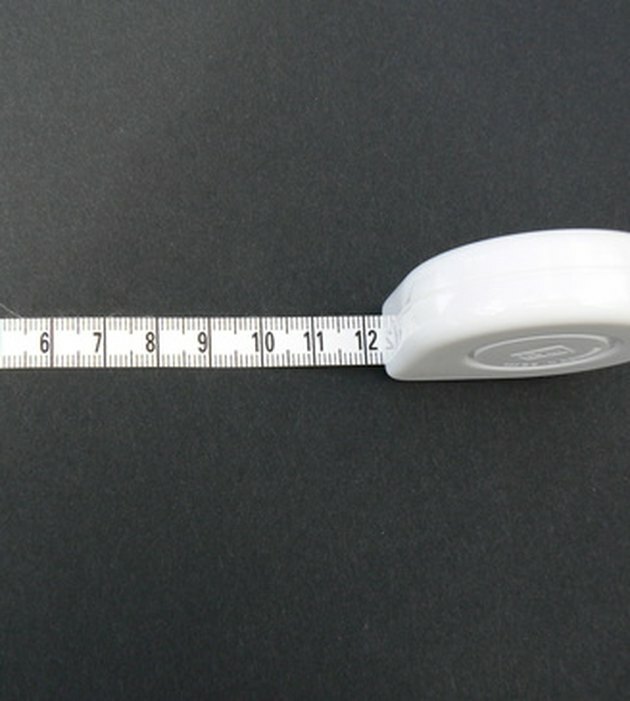 If the directions for your project include measurements with decimals, you must first change them into fractions of an inch for tape measure use. This important step should also be calculated at least twice to avoid any mistakes in measuring. Change decimal measurements to fractions to easily find them on your tape measure. Multiply the decimal portion of your number times 16 to calculate a fraction of an inch. For example, if your measurement is 3.8 inches, multiply .8 x 16 (12.8). Use the number you calculated in step 1 to count hash marks. In the case of our example, you would start at the hash mark at 3 inches and then count up to the 12th hash mark. Make your mark closer to the 13th hash mark to compensate for the remaining eight-tenths. Multiply the decimal portion of your number times 12 to calculate a fraction of a foot. For example, if your measurement is 3.8 feet, multiply .8 x 12 (9.6). Use the number you calculated in step 3 to count inches. In the case of our example, you would start at 3 feet and then count 9 inches. Then multiply .6 x 16 (9.6) and count 9 hash marks after 9 inches and make your mark a little to the right of the midpoint between the ninth and 10th hash mark to compensate for the six-tenths.